Calexico is a rock band based in Tucson, Arizona, known for playing an eclectic variety of music. The band's two main members, Joey Burns and John Convertino, first played together in Los Angeles as part of the group Giant Sand. They have recorded a number of albums on Quarterstick Records, while their 2005 EP In the Reins recorded with Iron & Wine has reached the Billboard 200 album charts. Their musical style is influenced by traditional sounds of Mexico and the Southwestern United States, and they have been described by some as indie rock. 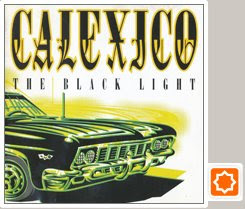 The band is named for the border town of Calexico, California.